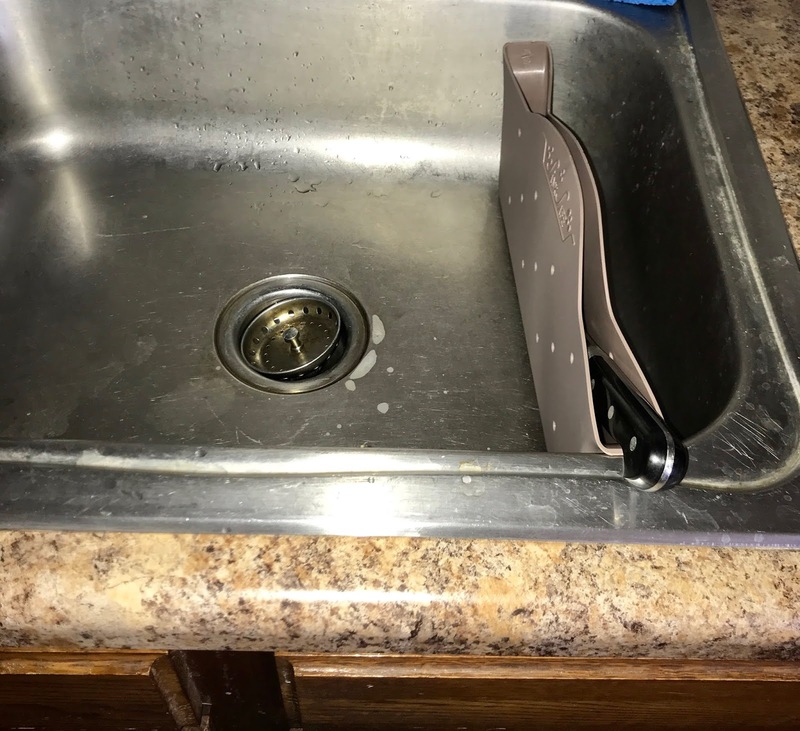 Introducing Sink Safe, the safer way to keep knives in your sink. I always worry when I place knives in my sink that I will get cut on them. When I saw this product on line I felt it was such a smart idea. Sink Safe was designed to keep knives and sharp objects secure in one place. This caddy is so smarty designed. It measures 14" in width and stands 6.25" tall. It fits in most standard size sinks. 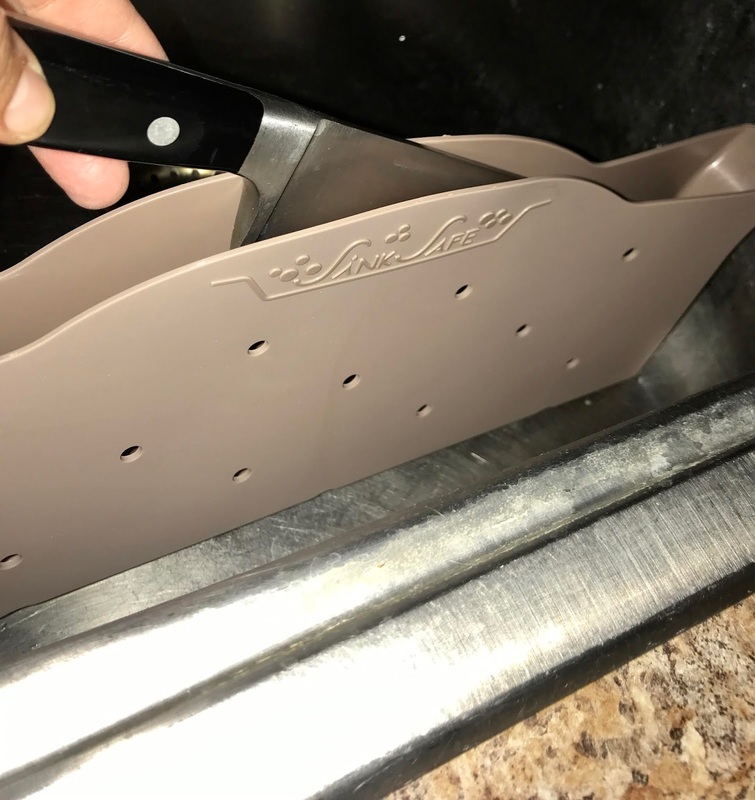 It is designed to allow soapy water to seep into it so you can soak your knives or other items safely while washing dishes. It can also be used to store wet sponges to allow them to air dry. Because of the whole in the pattern, air can circulate easily. The sink safe can also be used by adults to carry knives safely and to keep on a table, counter top or prep station while using knives. It is sturdy and lightweight. Protect your hands. Sink Safe allows you to soak your knives and other small items separately from dishes and pans. No longer will you be caught off guard by a stray, sharp object lurking in the water. Protect your loved ones. 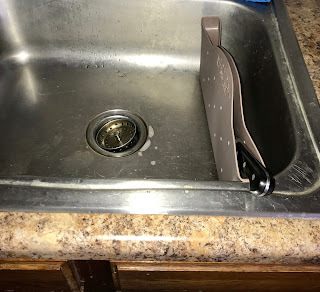 Sink Safe can be used throughout your culinary tasks by clearing your work surfaces of cross-contaminating utensils, keeping sharp items from the reach of small ones, and leaving your cooking area organized. Protect your knives. Your kitchen knives are an investment! Hand washing your cutlery is the best way to keep them in top shape. Sink Safe takes the danger out of this important step. MULTI-PURPOSE USE! Replace those suction cup sponge holders that often don't stay stuck! 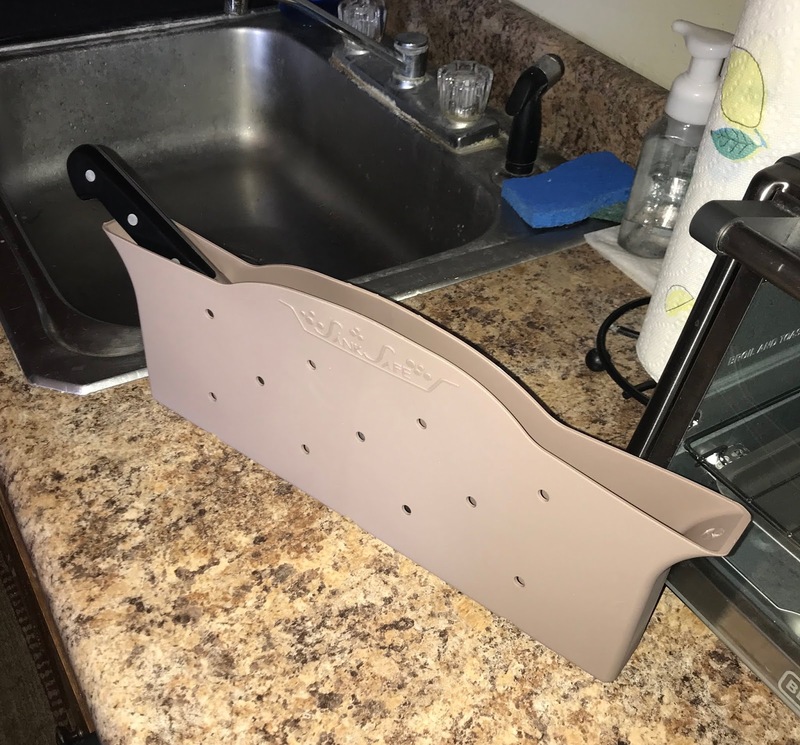 The Sink Safe multi-purpose caddy has room for your sponges to air dry after use and it will stand on its own inside or outside of the sink. Disclosure: I received product to review for my honest opinion. Your opinion may differ.